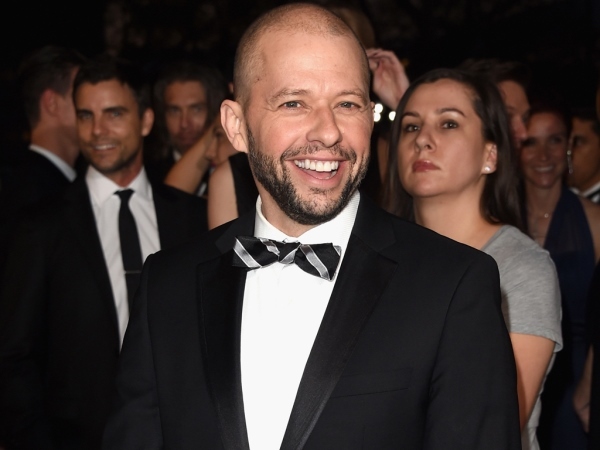 Jon Cryer had to decide "how much Charlie Sheen" he wanted to invite into his life. Jon starred alongside the 49-year-old actor in hit TV show Two and a Half Men for eight years, before Charlie's departure in 2011. Ashton Kutcher took over the same year. Charlie was dropped from the show following a very public meltdown and although he and Jon aren't close pals anymore, his former co-star is hopeful about what the future holds for him. "Yes, we have communicated a couple of times, we're on speaking terms. We don't really hang out, cos you kind of have to decide how much Charlie Sheen you want to invite into your life," Jon told James Corden on The Late Late Show. "And really, I wish him the best and I hope he decides that he wants to be sober again - that would be awesome, because he was awesome for six years, sobriety. But that doesn't seem the way he's going..."
Charlie has battled with various substances in the past, which saw him hospitalised and spending time in rehab. Jon (49) has a written a new book called So That Happened: A Memoir, in which he documents all the memorable moments in his life. His time working with Charlie features heavily, and last month an excerpt was released, detailing the time Charlie recommended his pal hire a prostitute. Summing up his work, Jon revealed what people can expect. "My career has been full of weirdness for 30 years now and basically it's just escalating episodes of weirdness, sort of cumulating with the Two and a half Men weirdness and then this today," he added to James.